Only a few automatic transmissions are equipped with drain plugs from the factory removing the pan to drain the fluid can be a mess. 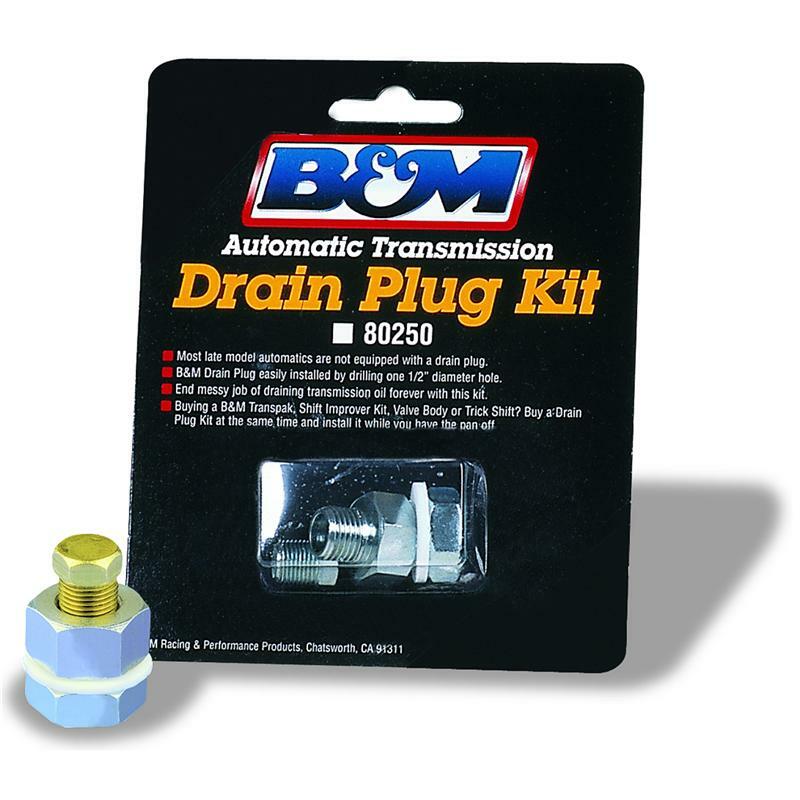 Simply remove the pan once, drill a hole, bolt the B&M Drain Plug Kit in, and eliminate messy oil splash forever. Non-magnetic.